After a long, hard day the first thing that one usually does after coming home is going to the room in his house where he can relax - bathroom. While some of us enjoy taking a long bubble bath, others prefer taking a quick shower. 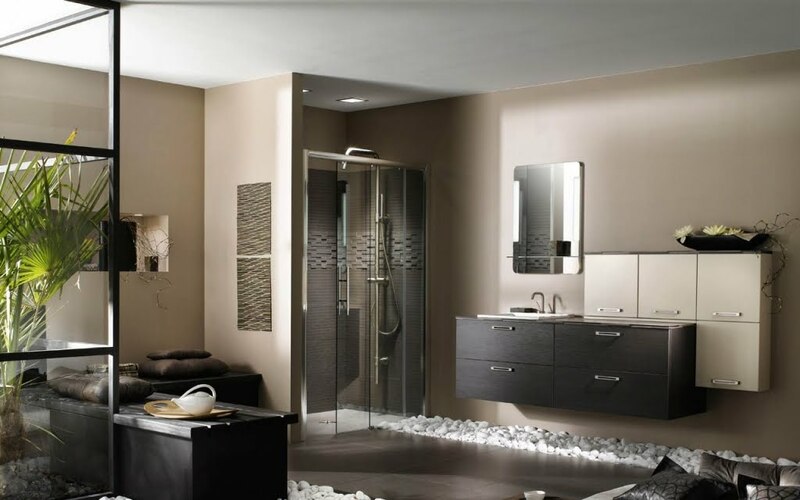 Whether you take a bath or a shower, the bathroom should be the place in your home where you can leave all the stress and worries. 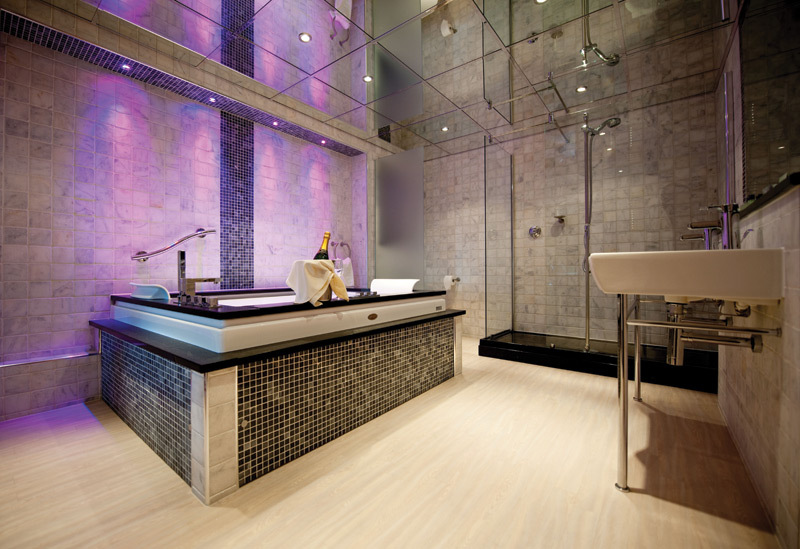 Today we bring you 17 different and modern bathroom designs from all over the world. Enjoy! 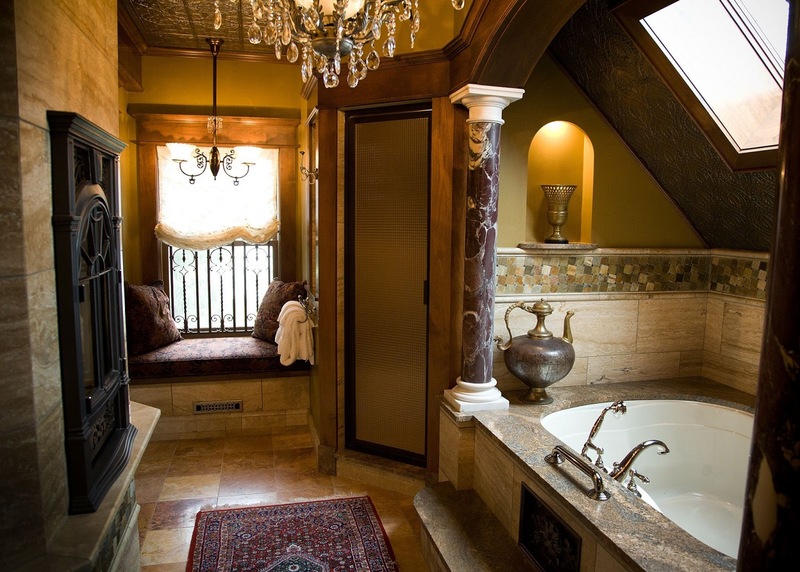 This bathroom will definitely draw your attention. The first thing you'll probably notice is the rounded-shaped shower-cabin and unusual patterns on it which are giving the impression of glamour in the room. 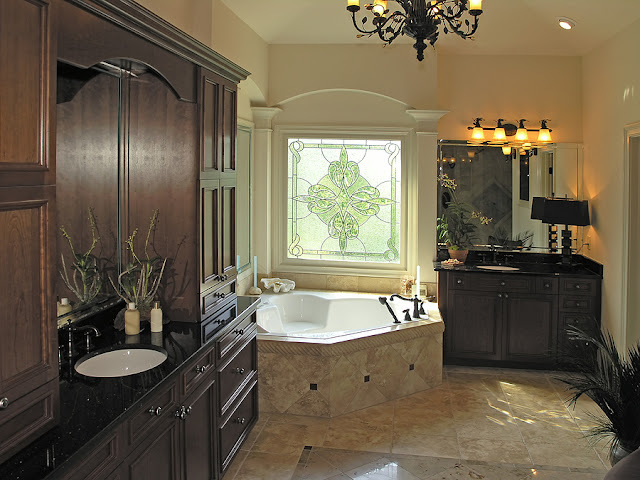 If you're not a fan of oddly patterns in baths, and you prefer to be surrounded by greenery, the this will be a heaven for you. A hot steam bath and a lot of plants, will relax you - for sure! 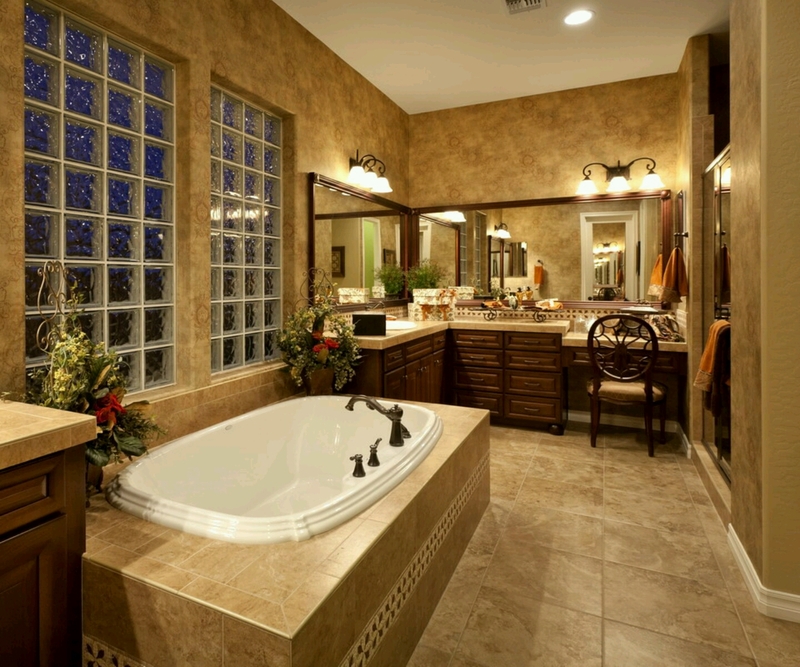 Most people would say that this is an ordinary bathroom, nothing special. It's simple, and you can never be wrong with a combination of brown, black and white. If you add two more plants and unique design on wall, voila - you have not so ordinary bathroom, but it is still simple and modern one. What I like the most about this one are the lights and the blue color of pillows. It works just great with this shade of brown. 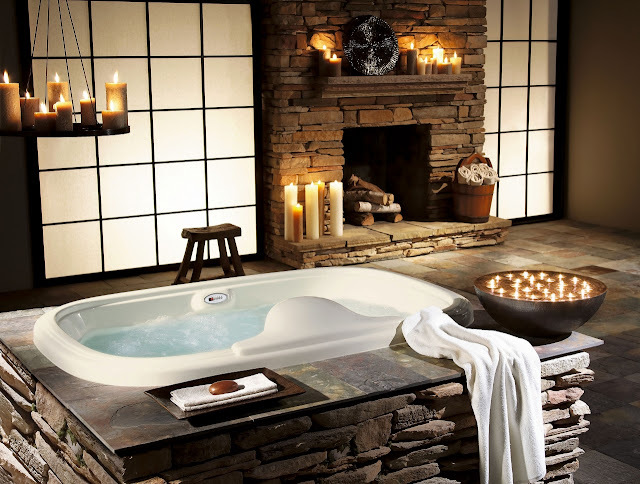 It's good thing that a bath tub is kind of separated from the rest of the bath - this is great if you like privacy, even in your own bathroom. 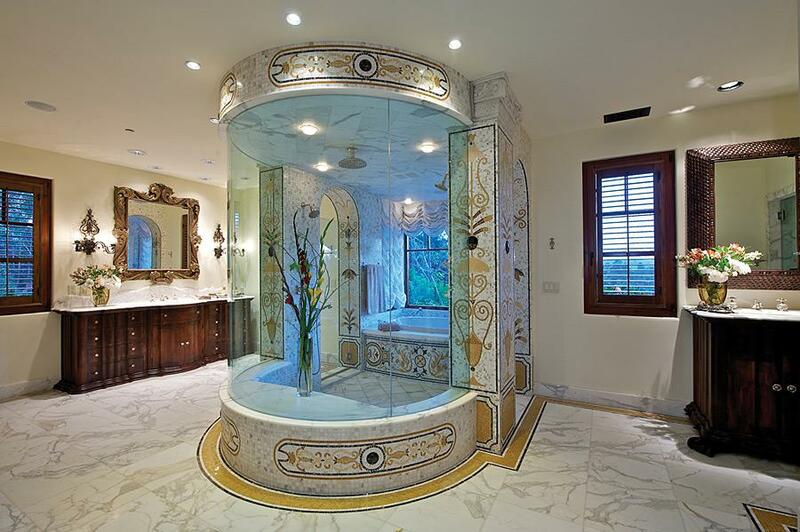 This bathroom is definitely different from the rest of them! Although it's kind of small and dark, it still has its elegance and glamour, and the little sofa by the window gives it special touch. Another one with darker theme where walls are designed to match with floors. Huge mirror visually makes whole room bigger which is always nice addition. This type of design actually reminds a little bit of Victorian style, probably because of the candles and the little wooden chair by the fireplace. 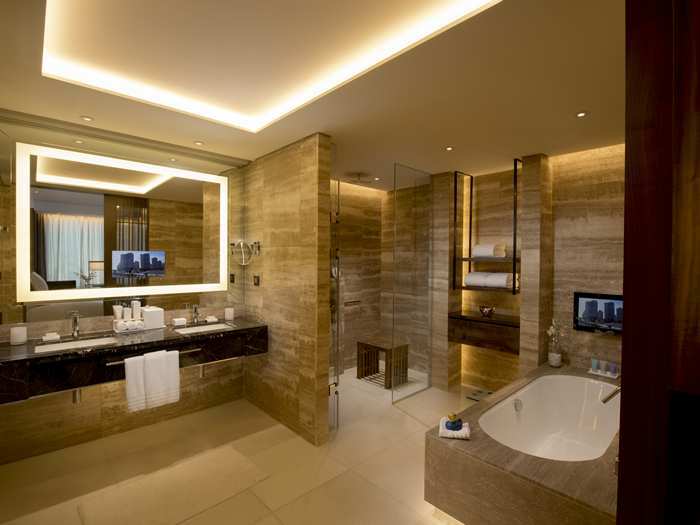 But despite the wood and rocks, this bathroom still manages to look like a modern one, doesn't it? Bling! This one is shiny, for everyone who loves marble. Reflections everywhere. 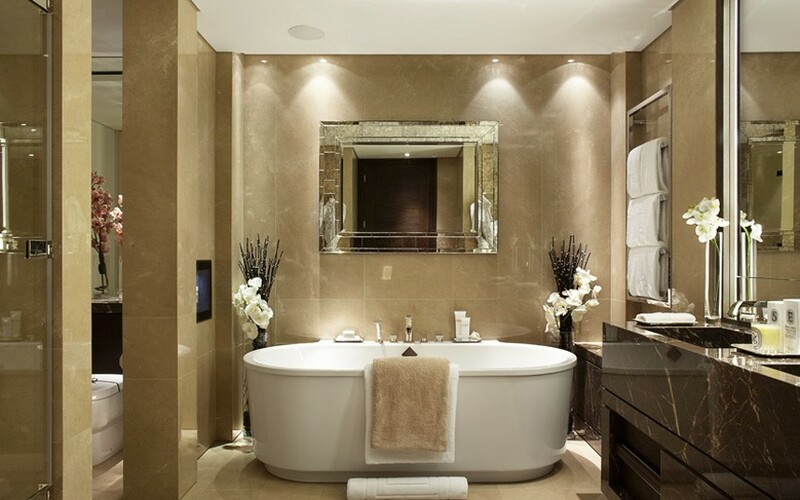 Again, nice atmosphere is created with darker, brown colors and modern white bathtub as a focal point. Mirrors on the ceiling! Now, that is nice move which with purple lighting creates really luxury atmosphere. There it is - a typical girly bathroom! Whether you are a little girl, a 16-year-old teen girl or a lady in her twenties - I bet you can't deny it, you probably like this bathroom. Lovely pink curtains and a soft carpet did the trick. Stone walls created nice cave-like space where shower cabin is just separated room in the bathroom. Contemporary style is something everyone dreams about. Big windows and lots of daylight is big plus here. 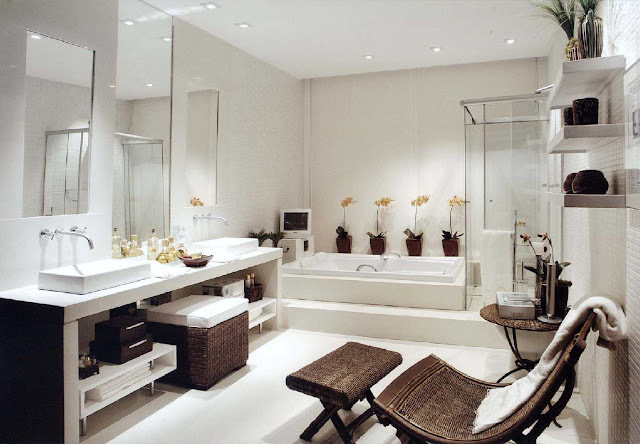 Nice white bathroom with double sink for her and him. Monotony is broken with dark brown furniture. Another one from contemporary album. 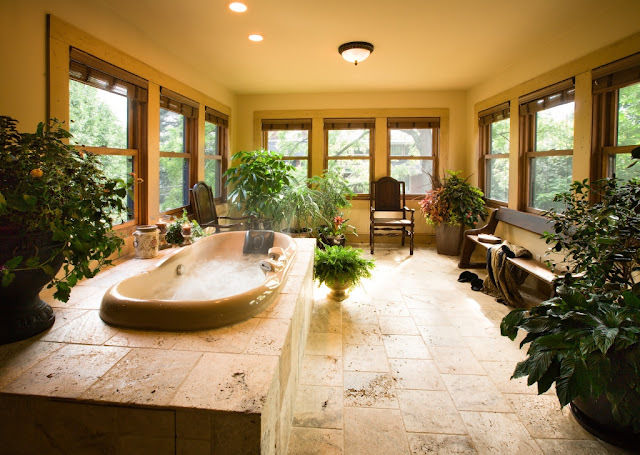 What I like the most here are those white rocks placed through the bathroom. Love it. This bathroom is perfect for house with glass walls. Minimal yet warm feeling is what this places gives. You made it to the end, congratulations! Now, tell us which bathroom you like the most.